My week of writing about looping yo-yos is at it’s end, but there are plenty of other looping yo-yos I may still squeeze in later. 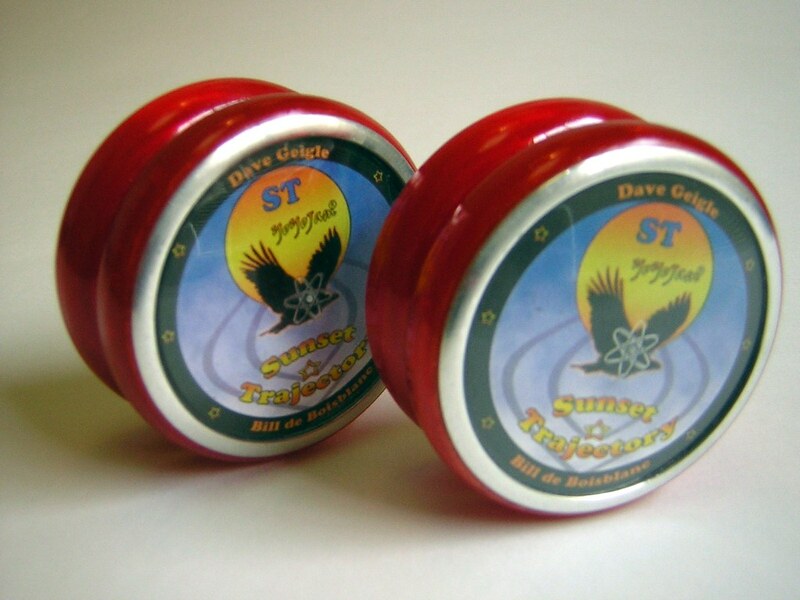 I haven’t been writing about many yo-yos that are still currently available, but I couldn’t talk about looping without bringing up the Sunset Trajectory NXG. With a simple modification, the Trajectory NXG is absolutely my favorite yo-yo for two handed tricks. I know that the Raider will still be the Double A standard for a long time, but I just can’t get into a looping yo-yo that isn’t gap adjustable. 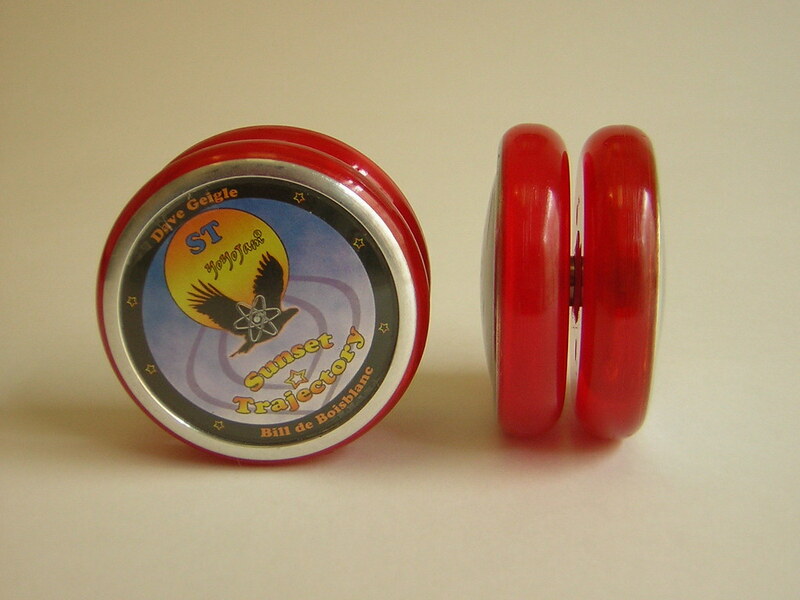 Of all the adjustable looping yo-yos, I think the Trajectory has the best feel to it. To modify it, I simply added flowable silicone. If you aren’t familiar with how this is done, please check out “How to mod a Doc Pop Bolt“. The gap for the silicone is much smaller than most YoYoJams, so it takes a little more work, but the end result is totally worth it. It seems somewhat contradictory that adding a flush layer of silicone would work for a looping yo-yo, but I like it so much I’m-a probably grab another pair. 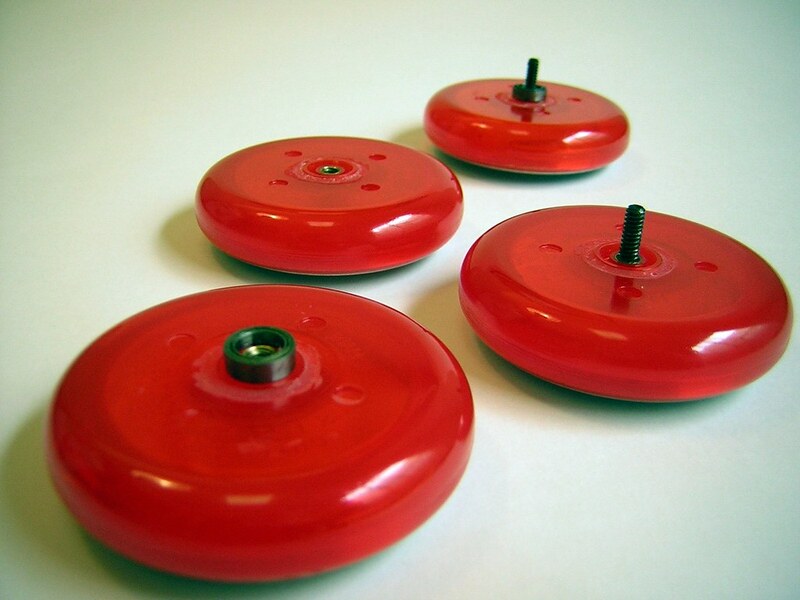 You know… I’m not actually sure if these yo-yos are NXG or not. Can somebody help me out? They look like they are, but they don’t have any markings to indicate them as such. looks like those yoyos have metal rims. NXGs dont have rims, those are kamataichis with sunset caps i believe. Are you kidding me?! I wrote a whole blog about the wrong yo-yo? Darn it. I traded these from Bill De Blahblah, so he might have changed the caps.